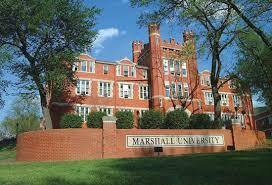 World Wide Education: INTO-Marshall University Huntington, West Virginia, USA. INTO-Marshall University Huntington, West Virginia, USA. Warm Greetings from World Wide Education Bhopal India!! University’s Master of Science in Computer Science degree prepares you for high-tech careers in the software industry. University’s curriculum reflects the most current developments in the industry with special focus on big data management and applications, high-performance computing, machine learning, cloud and mobile computing, cyber security and software engineering. A master’s degree in Computer Science provides focused and state-of-the-art technical expertise and other skills needed for building modern software systems. Whether you want to build a financially rewarding career, kindle your entrepreneurial spirit through a startup, or simply want to make the world a better place to live and work, a master’s degree in Computer Science is a positive beginning for your career path. · IELTS: 6.0 or Completion of Academic English level 5 with no grade below C.
· IELTS: 6.5 or Completion of Academic English level 6 with no grade below B. · Minimum 3.0 GPA in Graduate Level Courses. · No grades below B in all 500/600 level courses. · No grades below C in ENG 150, 151 and 160. Kindly share the above information with your friends and send the applications for Fall 2016 intake!! !